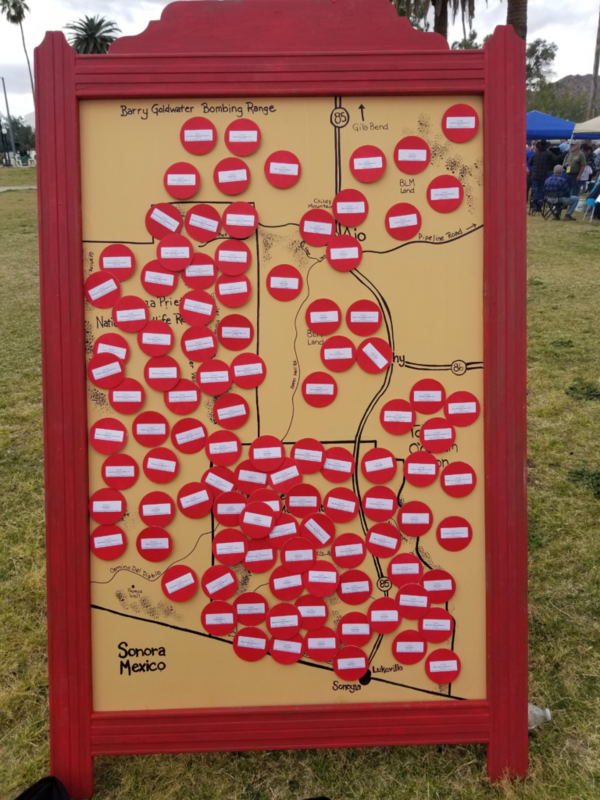 On March 2, the annual Sonoran Desert Shindig showcased the arts, culture and cuisine of the Sonoran Desert. The event also included information from conservation groups, land managers and humanitarian aid groups. 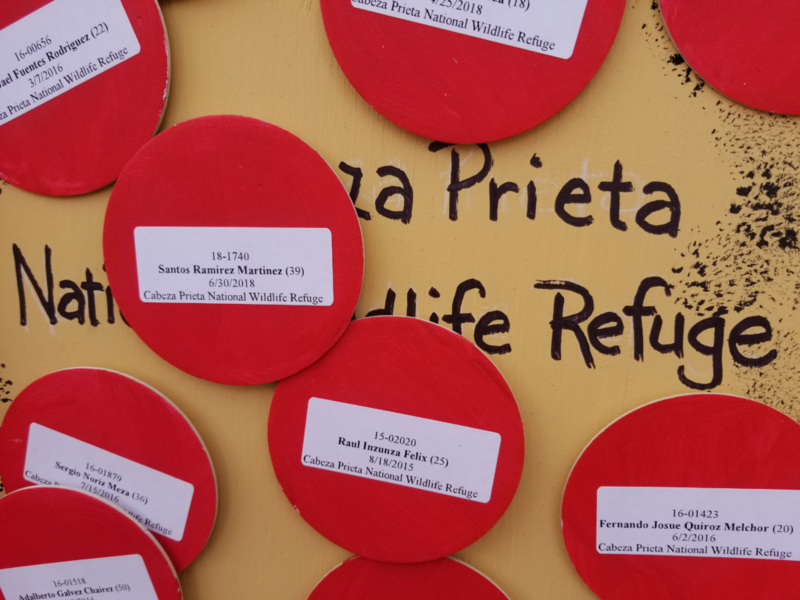 Volunteers with No More Deaths partnered with the Ajo Samaritans to educate residents and visitors to the Ajo area about the tragic deaths of more than 3,200 migrants in the Southern Arizona Desert through an interactive exhibit. 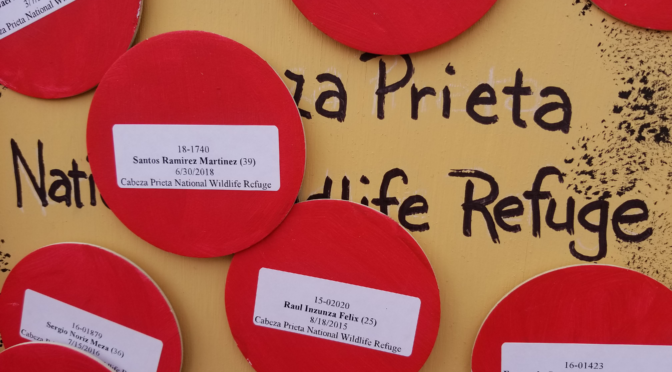 No More Deaths/ No Mas Muertes mobilizes hundreds of volunteers to provide humanitarian aid to those whose lives are at risk. To support our work, please make an online donation at nomoredeaths.org or send a check to: UUCT/ No More Deaths, P.O. Box 40782, Tucson, AZ 85717. For information, email action@nomoredeaths.org.